February | 2013 | Two Dads, one very opinionated son. It’s hard to believe the holidays have just passed us by again, we’ve now had 2 christmas’s and birthdays together as a family and at risk of sounding a little cliche, it really does only seem like yesterday that we laid eyes on our little man. I find myself referring to him as the “Young man” and “little man” so often, but we developed a little nickname that we use for him when mentioning him in social media, so for now I’ll think we’ll stick with that, seeing as we’re protecting his identity like some kind of superhero something dramatic seemed appropriate, henceforth, he became known as “Flash”. In the time that it had taken to complete our training many months had passed, coinciding with a particularly eventful period in our lives, before we knew it it had been 6 months since we had first walked in the door of our foster agency and our training was reaching the point where we would be ready for a placement. In the interests of not pressuring us they hadn’t contacted us constantly about accepting our first placement and we hadn’t been bugging them, whilst both parties were keen to get this journey on the road, neither wanted to make the other feel like anyone was rushing and all the while the little man that we had been told about was still waiting for his chance to find a home. We called to speak with our “SOC” (Supporter Of Carers) one day, to ask about the young man they had mentioned to us and to seek an update on where we were with our placement. Sadly she told us, they had started to make other plans for a placement for this child and she didn’t believe that he was a consideration for a placement with us any longer, but she would look into it for us, in the meantime we were asked to consider other options for placements. What was interesting about the task of matching the right carers to the right children was that we were literally asked to outline the age and gender of children we wished to consider caring for, whether we wanted to care for babies, school aged children or teenagers etc. As much as we understand the reasoning behind it there was still something unsettling about answering, it felt, weird? Our scope was quite wide anyway, any age, any gender, preference going to anyone below teenage years. And that was that, time to find a placement, so simple, right? There was a bit of anxiousness around the house, lots of thumb twiddling, silences and excessive watching of television in between working to keep ourselves occupied until we received the most unexpected of calls, the young man we had been considered for was still a possible placement! We didn’t know a lot about his story, to be honest between the department and the agency no-one really seemed to have a clear picture of his background, but what everyone knew was that he needed a home, stability and above all, love. Flash had been in care since he was a baby, surrendered to the care of the department by mum and with no dad known he had developed severe behavioural issues, most notably “Reactive Attachment Disorder” and “ADHD”, which apparently quite commonly go hand in hand. Through a series of extended placements, including a returning short lived placement back with his biological mother, the resulting side effects of his developed conditions had seriously affected his ability to coexist effectively in other households, the termination of his final placement triggered an emotional meltdown and the decision was made to place him in to residential care was made. He was in the 30%, he would never return home. I think people tend to conjure up images of orphanages in their heads when they think of these sorts of places or situations and honestly I think an orphanage would have been better any day than living in residential care. Dont get me wrong of course, residential care isn’t a jail or a terrible place, but it is a lonely place for a little boy. The concept is relatively simple, in residential care he resided in a 3 bedroom house, by himself. No other children and no full time carer, simply 3 youth workers (absolutely fine young men at that), who rotated on 12 hour shifts in the house. They drop and pick him up from school and occupy his evenings and weekends, but with no parents, no friends at school, they were his only company and only consistency in his life, but they day we turned up to meet him at that house, without a doubt, that day changed our lives. We’d been briefed of course before we arrived, it was a visit for 2 hours only, we were to meet him and have dinner, pretty simple. This would be the beginning of the process, depending on how he reacted to us would depend on the progress and where we went from there. We pulled up outside and walked up to the house, knocked quietly. I could hear a high pitched voice trying to be quiet in the living room. The door slowly opened, a little face looked up at us. He screamed, slammed the door tore off through the house. We stood bewildered for a moment, looking at each other, a moment later a man in his 20’s opened the door, laughing he invited us in, as we entered we spotted someone tearing out the garage door and into the lane way beside the house as fast as he could scurry. 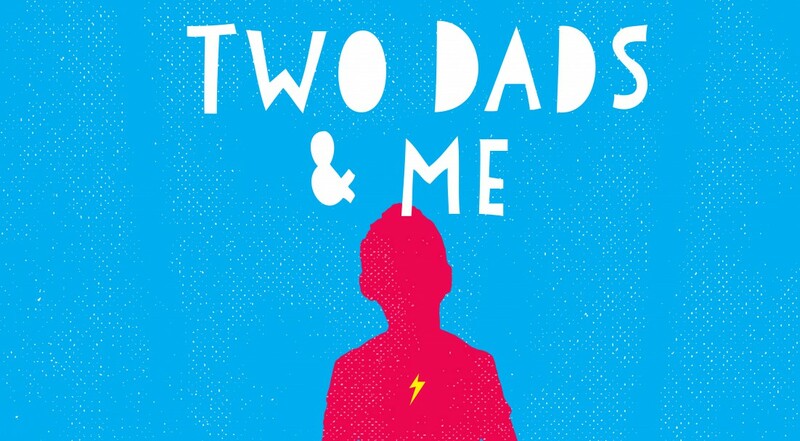 Categories: two dads | Permalink.